Mount Primary are holding their first Christmas Evening Fair. With hot roast sandwiches, lantern making, carol singing, lots of market stalls and games areas. It will finish with a Lantern Parade to The Jubilee Church on Hoeside Road at 7.00pm. Note the times in the Walrus magazine are incorrect. The fair starts at 5pm. 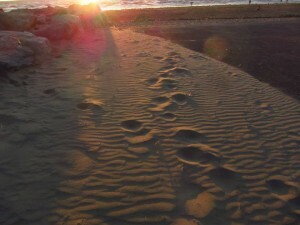 THIS SATURDAY – 9th August – The Beach Ecology Walk: Meet by the slipway in the Fort Perch Rock Car Park@ 1.30pm. A walk to discover more about the beach ecology, so we can better appreciate what it is we are keeping clean, and why! The walk is being led by Ranger Lynne Greenstreet (Thanks to Lynne). It is free, so just bring yourselves. No need for Litter Pickers either! The Shuttle Bus Launch Photo Call: The Photo Call for the Bus and launch of Keep New Brighton Tidy went very well and Gill Gwatkin (Council Press Officer) commented that it was one of the best photo sessions she’d done – everyone was so enthusiastic. Well done Brighteners and Pirates! Egremont Festival – Litter Picking: A big thanks from the Egremont Fest Organisers for all the help litter picking at the Festival, and especially to Manisha, who organised the day’s litter pick session! It all helped make it the best Fest yet! 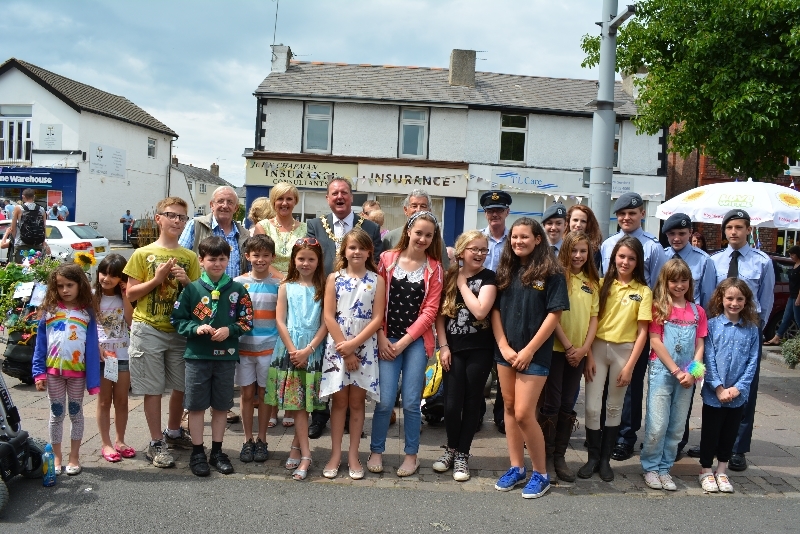 Diary note: Next Egremont Festival – Sunday 9th August 2015. Get those diaries out! ​The Polystyrene Free State of New Brighton: The battle campaign commences on Monday 4th August when Dave and Manisha, along with Dawn Mackie, a Council Environmental Officer begin visiting fast food outlets with a view to encouraging them to to try bio-degradable fast food containers and cups, instead of polystyrene ones. The Council are funding the project to the tune of £1500, which is just amazing, and we want to thank, especially, Caroline Laing, Chair of the Wallasey Problem Solving Group for pushing this along. The funding will allow us to offer the retailers a free trial of bio-degradable fast food containers and cups, and if that goes well, we hope they will move away from Polystyrene. Also must mention Andrew Cornes, who designed the graphic. Nice one Andrew! Wirral bright Ideas: We are applying to this fund (very similar to Love Wirral) for £500 to buy more pickers, hi-viz vests (printed) and bag hoops. Bids must be in by 18th August, and we are hopeful that we will be successful. Loving the New Brighton Shore! You can email us at publicity@merseytravel.gov.uk or call us on 0151 330 1084. We’ll then get to work and replace the missing or damaged timetable information as fast as we can. Keep a look out for a special Travel News Update email later today – there are major changes to bus services next week whilst the Giants are in town. There are no planned changes taking place this week. Buses are sometimes diverted due to roadworks or events. We show all planned diversions and explain how your services are affected on the Travel Updates page of our website. City Line: no planned changes this week. Wirral Line: don’t forget, with the Open Golf Championship taking place at Hoylake, some Wirral Line trains are changed until 22 July. Click here for full details. If you travel on the Wirral Line, please check your travel plans in advance by visiting www.nationalrail.co.uk or calling 08457 48 49 50. Northern Line: there are no planned changes this week. West Lancashire Line: trains between Southport and Manchester are running to a special timetable from 19 July – 31 August. Click here for full details. You can download current and future rail timetables from our website. 1030 on Saturday 26 July through to 0100 on Sunday 27 July. Traffic will be diverted through the Kingsway (Wallasey) Tunnel, which is expected to be busy, particularly through the morning peak period. Please plan your journey in advance and allow extra time to make your journey. There are no planned changes this week. You can view the Mersey Ferries timetable here. you can display it in your browser. Liverpool will host one of the UK’s landmark commemorative events – a poignant and spectacular piece of street theatre which will once again see giant visitors embark on an emotional journey around the city. Taking place between 23 – 27 July 2014, the city will welcome back the creative tour de force that is Royal De Luxe who will undoubtedly deliver a jaw-dropping visual feast. It comes just two years after Liverpool came to a standstill for Sea Odyssey which paid tribute to the centenary of the sinking of the Titanic. Sea Odyssey saw over one million people converge on the streets, taking in the awe-inspiring sight of three beautifully crafted giants which roamed the city on a heart-rending tale of love, loss and reunion. Those three days in April 2012 have become some of the most unforgettable in Liverpool’s history and this new event is expected to join Sea Odyssey and become etched in the hearts and minds of everyone lucky enough to be part of the event. As a result of this amazing piece of street theatre, roads will be closed and diversions will be in force, meaning there will be major planned changes to public transport. Roads will be closed and diversions will be in force, meaning there will be major planned changes to bus services throughout the event. Click here to download the special information book we have produced, listing all the changes to bus services during the event. Please remember though, roads throughout Liverpool are expected to be very busy so whatever service you are using, please allow extra time for your journey. On Saturday afternoon, Stagecoach will be running a special bus service to take you from the Liverpool Cruise Terminal to the Giants at Clarence Dock. The service runs very frequently between 1600 and 1800. Regular return buses will depart Clarence Dock between 1930 and 2100. Journey time will be 5 minutes. A flat fare of £1.00 for adults and 50p for children will be charged – no passes will be accepted. For safety reasons, James Street station will be closed on Saturday from 1600 to 2000 and on Sunday from 1100 to 1500. Your nearest stations are at Moorfields and Liverpool Central. or www.northernrail.org for City Line services. You can also call National Rail Enquires on 08457 48 49 50. Where possible, Merseyrail will run trains with extra carriages during the event. Mersey Ferries will be a great way to get to and from the event with extra services running throughout the weekend. Between 23 to 25 July a normal ferry service will be running. Ferries will depart Pier Head at 1000, 1030 then at 00 and 30 mins past each hour until 1800. Ferries will depart Seacombe at 1000, 1030 then at 00 and 30 mins past each hour until 1800. Ferries will depart Woodside at 1010, 1040 then at 10 and 40 mins past each hour until 1840.
finishing at Pier Head at 1850. Normal River Explorer Cruise pricing will apply to these cruises. On Saturday 26 July, an extra direct shuttle service will depart Pier Head at 1900 calling at Woodside and Seacombe only. Direct shuttle ticket prices will apply to this service. Services are expected to be busy due to increased visitor numbers and this may impact on timetabled services. Mersey Ferries will do all they can to run to this special timetable. Sorry – you can’t pre-book tickets for these cruises. Have a fabulous time enjoying the Giants – the city is expected to be very busy, so please allow extra time to complete your journey. If you need any more information, or need some help planning your journey, call our Traveline team on 0151 236 7676. They’re open from 0800 – 2000 every day. Our journey planner and mobile apps won’t contain diversion details for this event, so if you’re travelling to or from Liverpool between 25 – 27 July, please don’t use them to plan your journey – call our friendly Traveline team for help! LEGO are rattled. First our video was removed from Youtube. Hours later, it was put back after thousands of us voiced our outcry! But LEGO are still refusing to meet us. So in 4 days, undercover LEGO agents will go to their Head Office in Slough to deliver every single name on the petition asking them to dump Shell. senior managers based in the UK. They care deeply about UK sales figures and the reputation of their brand. Right now, that reputation is being damaged by their refusal to reconsider their partnership with Shell. In 4 days, Greenpeace volunteers will show up at their office in front of LEGO’s staff and the public with all the names of people who want them to dump Shell. It might just be the nudge the Chief Executive needs to pick up the phone to the CEO in Denmark, and tell him it’s time to end their misguided deal with Shell. So let’s make sure that number is huge. Share this email with your friends. When we work together we get results. From getting Jewsons to drop Amazon timber, to confronting Statoil near Bear Island, bit by bit we’re making companies behave responsibly. Together we can get LEGO to come over to the good side, too. Can you ask more people to join in and sign here? We don’t accept any money from companies or governments so we can be independent and challenge anyone who threatens the planet or peace. To help us keep fighting climate change, defending our oceans and protecting ancient forests, you can make a regular donation by direct debit. Thank you! Love Parks Week 2014 is fast approaching. Have you uploaded all your events? This year the Love Parks Week runs from 25 July to 3 August 2014 and this year we want to exceed the number of events available to everyone, we can only do that with your help. To upload an event you must be a registered user of the website, then you can add as many activities as you like! As we are building on the campaign, we would like to see more events that are taking place throughout the year. Through this activity and the continuous efforts of Friends Groups, Volunteers, Local Authorities and our campaign we can all play our part to raise the voice for parks and protect our green spaces. So if you haven’t already, please upload your events today! 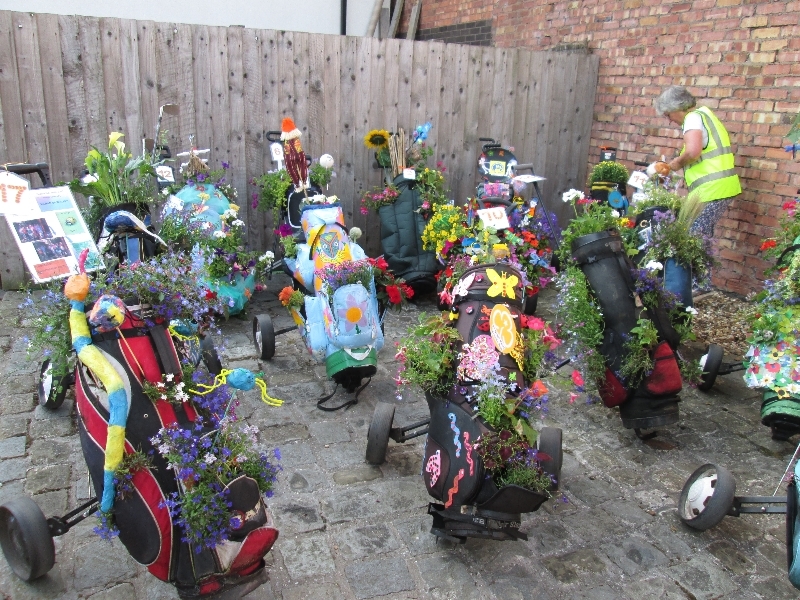 The Friends of Hoylake and Meols in Bloom ‘Themed Floral Golf Bag” competition is now well under way. The Friends are, as usual, planting and caring for all the wonderful floral displays throughout the village and, as a special event, during the Open Golf, are holding a competition in which 19 children’s groups, ranging from a dance studio group and pony school to the brownies, have decorated donated golf bags with flowers. Each floral golf has been decorated with a different theme, creating their own group’s masterpiece. 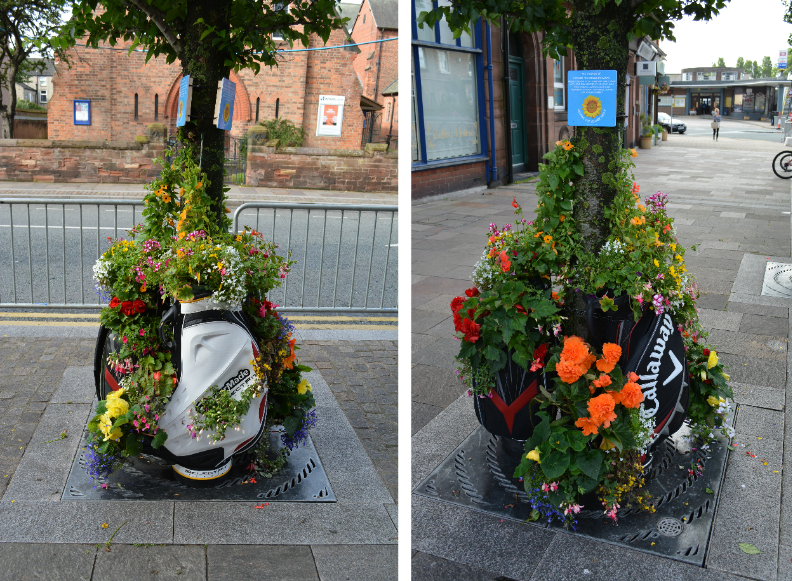 All this is going on in the middle of Hoylake (next to Co-oP), 9am to 4pm each day, ending on 20th July , so come along to Hoylake, join in the fun and vote for your favorite and maybe see a bit of the Open Golf as well. 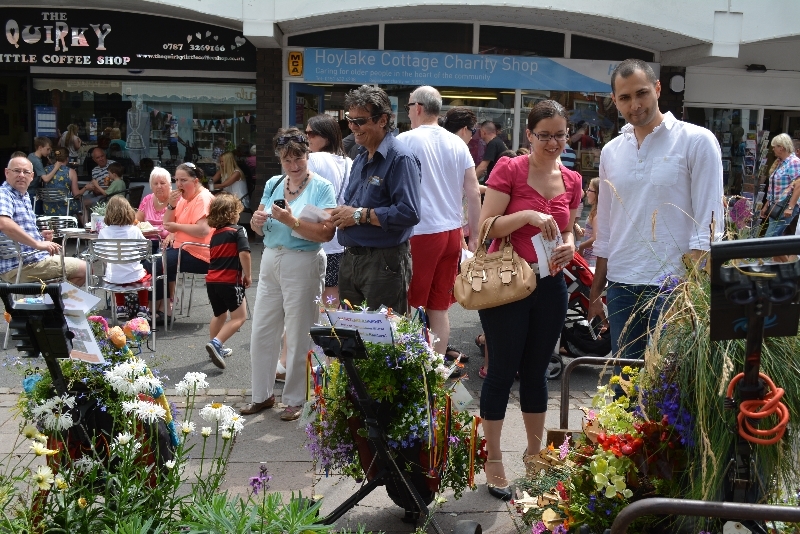 On the last Saturday of the competition (19th July) we are holding an additional event sponsored by Hoylale Town Team. It is a children’s fun day with various craft activities, including face painting, all connected to our new logo, the smiling sunflower. Below are some of the Floral Golf bags ready to go on display. The Mayor and Mayoress of Wirral with some of the children who created the floral golf bag displays. Copyright © 2014 Friends of Hoylake and Meols in Bloom, All rights reserved. 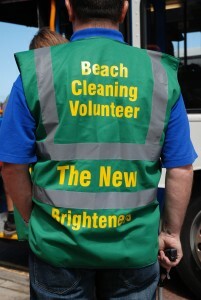 Swashes were buckled and litter pickers brandished when Wirral Council teamed up with New Brighton’s litter-busting New Brighteners and the crew of the good ship ‘Black Pearl’ to launch a ‘keep New Brighton tidy’ campaign. 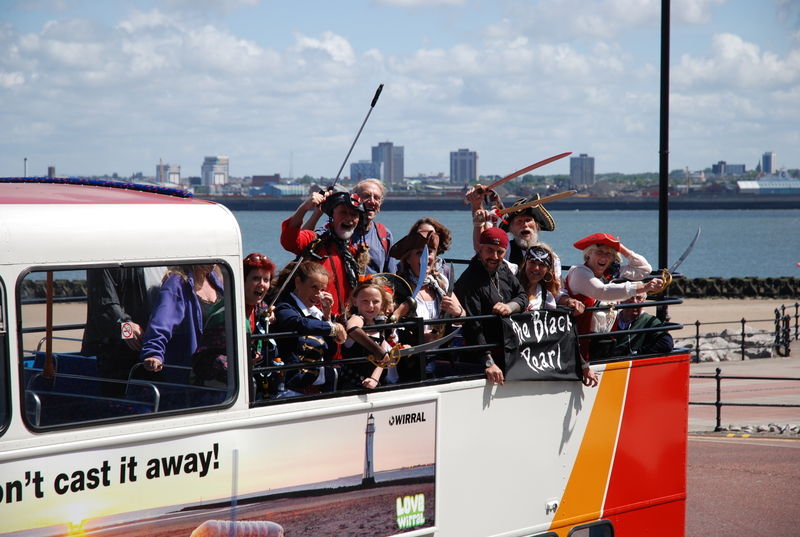 The campaign was launched at 12Noon, on Saturday, July 5, outside New Brighton’s Floral Pavilion Theatre, when the New Brighteners and ‘Black Pearl’ crew stormed the resort’s open-topped shuttle bus, newly decorated with ‘Love Wirral’ branding. 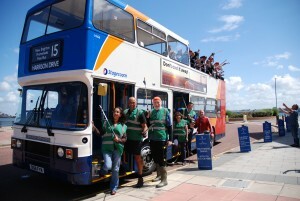 The free open-top bus service, operated by Stagecoach, was launched earlier this year and runs every weekend throughout the summer until early September. 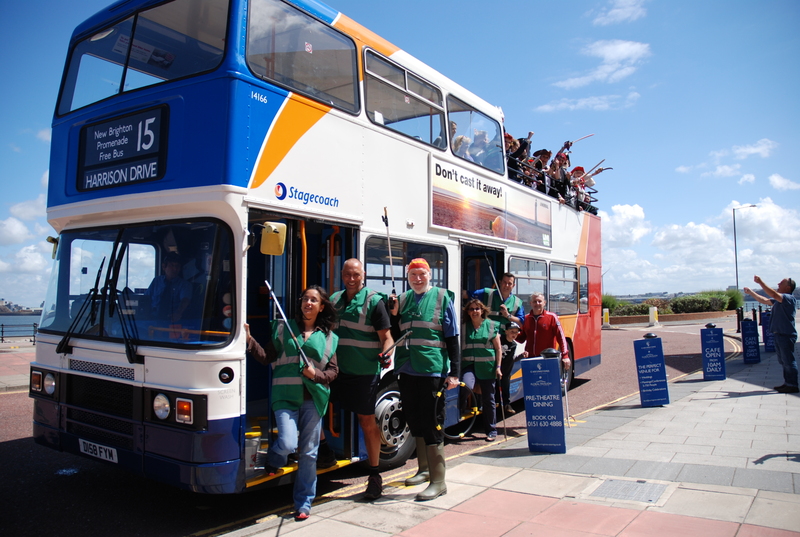 The bus has now been decorated with ‘Love Wirral’ branding and posters, designed in conjunction with the New Brighteners, whose volunteers are out and about picking litter in the resort all year long, helping the Council keep New Brighton spick and span. The Council has also provided a new double bin at the pirate ship ‘Black Pearl’ to accommodate increased visitors to the artwork on the beach near the Tower Grounds. The crew of the much-loved attraction have been doing their bit to keep New Brighton tidy by keeping the sands around the ‘Black Pearl’ spick and span, and encouraging visitors to take their litter home. Dave Peddie, New Brighteners’ organiser, said: ‘When we were asked to work with the Council to help come up with ideas for a range of posters and publicity, we were delighted. We spend all year out and about on the beaches. Summer is our busiest time, and we’re well placed to know the type of litter and rubbish that really poses a problem. 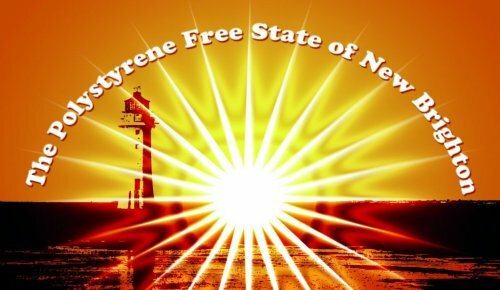 Wallasey’s Constituency Team has been working with businesses, local agencies, and voluntary groups, to ensure that visitors see New Brighton in its best possible light. The Team is run and managed by Wirral Council, which co-ordinates a multi-pronged approach involving Council staff, Councillors, Police, and local businesses, including Neptune Developments Ltd, owners of Marine Point. Along with the free shuttle bus, a number of other contingencies are in place to make sure visitors to New Brighton enjoy the resort at its best. 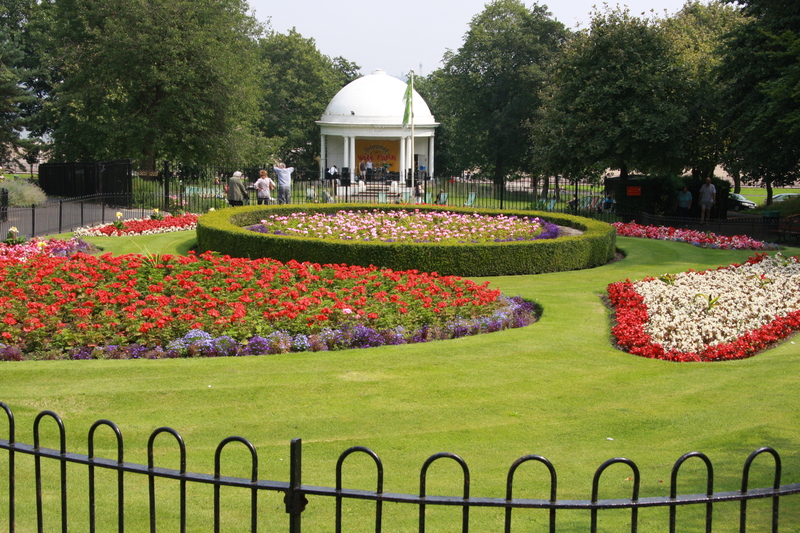 This includes an extended street cleansing schedule in place throughout the season, with bulk waste bins and barbecue bins located at 10 key sites including the Dips, Perch Rock access road, Perch Rock Car Park and Marine Promenade. There are also new measures to ensure that all cafes with outdoor seating clean up food waste on pavements, and the Council will be working with the New Brighteners to encourage food vendors to use recyclable food packaging. Summer 2014 will feature a number of new initiatives under the ‘Love Wirral’* banner, such as litter picks and beach clean-ups. And to encourage dog owners to clean up after their pets, the Council’s dog fouling team will be joined by Police Community Support Officers this year, with Fixed Penalty Notices issued to dog owners who fail to clear up their dog’s mess. The New Brighteners are also going to be helping the Council to drive home the message that dog owners can dispose of bagged dog waste in any bin, not just in specially designated bins. As well as the Black Pearl and New Brighteners, organisations such as the Momentary Art Project are joining together to engender real community spirit in the New Brighton area. ‘Love Wirral’ is a campaign run by Wirral Council to encourage people to take greater responsibility and pride in their own local environment, whether you live, work or visit Wirral. Last year, £36,318 worth of grants were distributed to local organisations to support their efforts engendering civic pride. For further info visit www.wirral.gov.uk/lovewirral or see ‘LoveWirral’ on Facebook. PHOTOS SHOW: Members of the New Brighteners and Black Pearl aboard the newly-decorated shuttle bus. Schools & Education: One of the solutions to the (beach) litter problem is that children and young people are educated as to why dropping litter is not only anti-social, and an offence, but that it is very bad for the environment, and for animals. A member of The Brighteners works at Foxfield School in Moreton, and we’ve visited the school and discussed some educational options. All still at the early stages, but encouraging. Saturday Litter Pick: Saturday 5th July now at 10:30 am (was 11:00 am) to fit in with the Shuttle Bus Photo Call. Meet Paul Roberts at Perch Rock Car Park (Pavilion end). 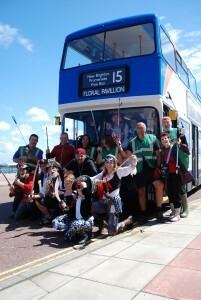 The Shuttle Bus Launch Photo Call: Saturday 5th July 12 noon at the Floral Pavilion. The Brighteners have got good coverage in the official Press Release from the Council, and are also on a special Council produced poster which will be in the bus itself. We have been asked if folks can be there for the Photo Call.
. A message from Manisha. Another call out to all Litter Pickers. The Egremont Festival is less than a month away. So far have 5 people who have said they can definitely help and 8 maybes. I need to firm things up soon, so any updates on availability would be great! Come on gang… don’t make me call the Birkenhead YMCA to help out again Any help is very much appreciated. 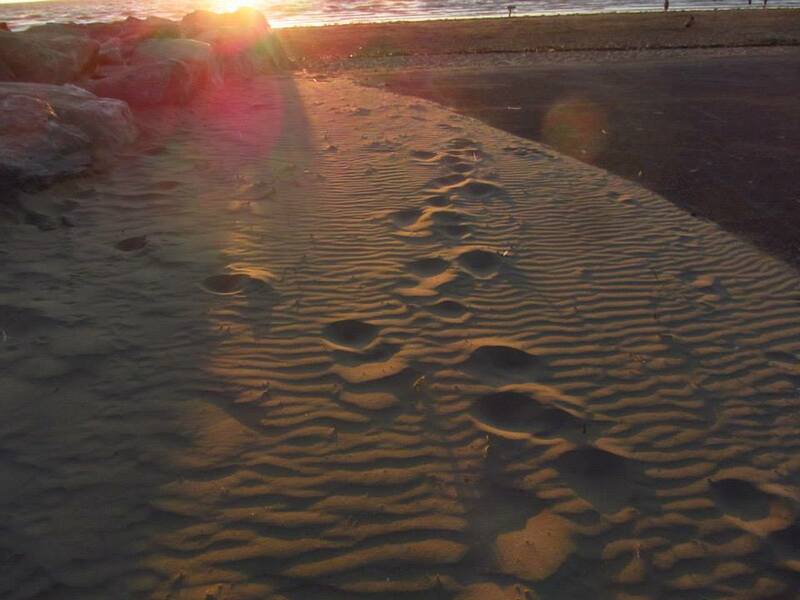 The Beach Ecology Walk: Sat 9th August, @ 1.30pm. To discover more about the beach ecology, so we can better appreciate what it is we are keeping clean, and why! This will be led by Ranger Lynne Greenstreet (Thanks to Lynne). Meet by the slipway in the Fort Perch Rock Car Park. It is free, so just bring yourselves. No need for Litter Pickers either! Pop it in the diary now folks! The Development located adjacent to the Floral Pavilion Theatre, was re-designed in 2011 to ensure every apartment had its own secure parking space, and newly added enclosed ‘Winter Garden’ Balconies which will allow owners to comfortably enjoy Sea Views throughout the year. The Scheme will now comprise of 24 apartments, ranging from 1 and 2 bedrooms on the ground and first floors and 3 and 4 bedroom duplex penthouses. 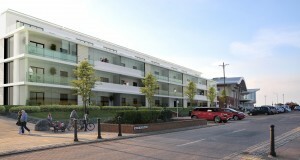 Neptune have also secured the rights to offer purchasers the use of Governments Help To Buy Scheme. The Newly Launched Scheme allows purchasers to acquire the apartments with just a 5% deposit, with the government offering a loan that is interest free for 5 years and will cover 25% of the purchase price. 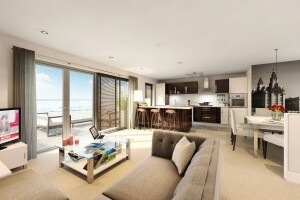 This will mean purchasers can apply for Mortgages for the remaining 70% of the asking price. Construction started on site on the 24th March will take 11 months to complete. We are delighted to announce that Pizza Express is the latest opening at Marine Point. The Unit opened on the 3rd of April, creating 30 new jobs. Pizza Express expect to use An estimated 1,760 kilos of dough will be used in the first month as the team prepares to serve up 4,000 pizzas and 2,300 portions of PizzaExpress’ iconic Dough Balls. The Wednesdays for 30th April and 30th July have not been finalised. Vale House Café will provide a gazebo where cold drinks and snacks can be served. The café will be open to offer picnic lunch bags and usual menu. Way! Hey! And up she rises! We are not sure if this is the 5th or 6th Black Pearl rising from the rocks by Dalmorton Road slip. Rising with the encouragement, support, skills and arm-strength provided by our most generous and enthusiastic community. There is much work to be done but the Black Pearl is already seeing plenty of action. An exciting and rewarding voyage lies ahead – subject, of course, to fair winds and fortune! Along our way we expect that story-tellers will beguile us with wild and hair-raising tales of strange happenings in far-off lands. Poets will weave their words of magic to stir our blood. Singers will tear our heartstrings with haunting songs of joy, of love, of triumphs and sad losses. Maybe we will see the theatre of life played out upon the Pearl’s decks. Maybe we will sway to the exciting rhythms of distant drums that will speak to the old and mystic elements that lie deep within us all. It may not be all plain sailing. Indeed, there are rumours of an invasion! An invasion from North of the border – no less! Yes, iron men and maybe iron women plus the occasional brass monkey may be amongst us by late June. Be very afraid! Of course it wouldn’t be a piratical voyage without a few bouts of carousing and merry-making along the way. And there may be the occasional, but fair and appropriate, need for some planks to be walked and some keels to be hauled, perhaps with a rousing shanty to help us through such chores. Summer is coming and families will relax on the beach, children will play, dogs will be walked, visitors will come from near and far, tales will be told, voyages and adventures will be imagined and enacted, wonderful moments will occur, there will be talk, there will be laughter and there will be huge, piratical fun. There will be life and a bit of art thrown in here and there from us – the Pirates at Art – Life is an Art and Art is Life. Enjoy! 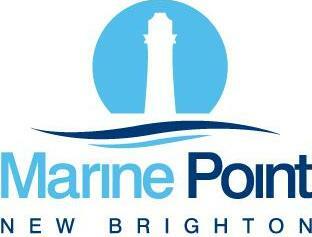 Stay in touch via “The Black Pearl New Brighton” on Facebook. Thursday 22 May Wallasey Central Library Friends meeting 6.30-8 Please join at meeting. Thursday 26 June Wallasey Central LIbrary Friends meeting 6.30-8 Please join at meeting. The first Wallasey Food Fair will be taking place on Saturday July 5th, 10am – 2pm at The Jubilee Centre, Hose Side Road. There will be a fantastic selection of stalls selling a variety of fresh, local produce: fruit and vegetables, meat and poultry, breads, jams and chutneys, cakes, macarons, and more. We believe it is important to provide local, easily accessible, fresh food for the community. This is a great opportunity to talk to the producers and find out exactly where your food is coming from, and we hope this will be the foundation of a true local fair that will be beneficial to everyone. The Wallasey Food Fair will be a monthly event, to be held on the first Saturday of the month. At every fair we will be holding a raffle to raise money for a local charity. Our chosen charity for July is The Wirral Autistic Society, which provides a wide range of services and support for children and adults living with autism (www.autistic.org). We will be giving away a free goodie bag to the first 100 customers, so write the date in your diary and get ready to shop local! Graham Sale has a background with the HM Coastguard and as a Deputy Launch Authority at the station, his role involves everything operational and crew orientated. Q: What area does the station cover? We cover the River Mersey from beyond Widnes Bridge and into Liverpool Bay as far as The Bar plus the Sefton and Wirral coastlines. Q:What are your most common shouts? 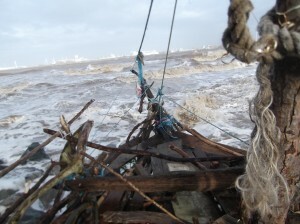 People cut off by the tide or stuck in the extensive areas of mud on the Wirral and Sefton shores. 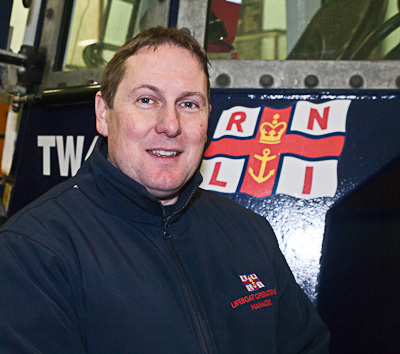 The complimentary capabilities of our lifeboat and hovercraft enable us to deal with shallow water or dry land requirements which is where the hovercraft comes into its own. Its vital people find out about the tides and take notice of warning signs – the tides come in very quickly in this area and its easy to get caught out. Another common shout is to craft with machinery or equipment failure and not infrequently shortage of fuel. Its important to take sufficient reserves to get you back home against a tide on the ebb. The Mersey has the second highest tidal range in the country and can flow in and out very fast. Q: What was the worst call out in 2013? The greatest threat to life this year was probably in early June when a teenage girl who had gone swimming, late evening off from the Derby Pool and was in difficulty and being washed out to sea on an ebb tide. We managed to find her and when we got her on board the lifeboat she was shocked, cold and we gave first aid in response . We took her straight back to the lifeboat station to a waiting team of paramedics who treated her for cold and sea water intake and she was then taken by ambulance to hospital. The most hazardous conditions for our crew was in October when our crew were called to assist the crew of the crane barge working on the sea wall in the Gladstone Dock area when its lost some of its gear and was dragging its anchor during high tide with a Force 7 storm blowing in from the North West. In the end the lifeboat stood off for several hours in very difficult conditions in case they were needed to get the crew off meanwhile two tugs managed to take the crane barge in tow and get it safely into Gladstone Dock. We were joined on that one by Hoylake’s lifeboat. The most likely shipwreck was in July when a 60ft yacht with crew on board became grounded on the groyne by New Brighton lighthouse. The yacht was lying at an acute angle and the tides was on the ebb, when our helmsman and senior crew saw the situation they estimated that they had a maximum of 10 mins to get a line on the yacht and tow it off the groyne. It was a team effort with the Marine Fire & Rescue craft and a lifeguard jetski who had also reached the scene. We managed to pull it off stern first while the Marine Fire & Rescue pulled the bow clear. It turned out to be a very close call. Q: What are the biggest challenges the station currently faces? Our biggest challenge is achieving unhindered access to our main launch site at Victoria slipway in an emergency. This has become more of an issue due to the very welcome increase in popularity of New Brighton in recent years. We are working with the local authority and they have been very helpful and hopefully some of the plans in hand will help the situation. After the Christmas celebrations the pupils and staff returned to school well rested and eager to start the new term. 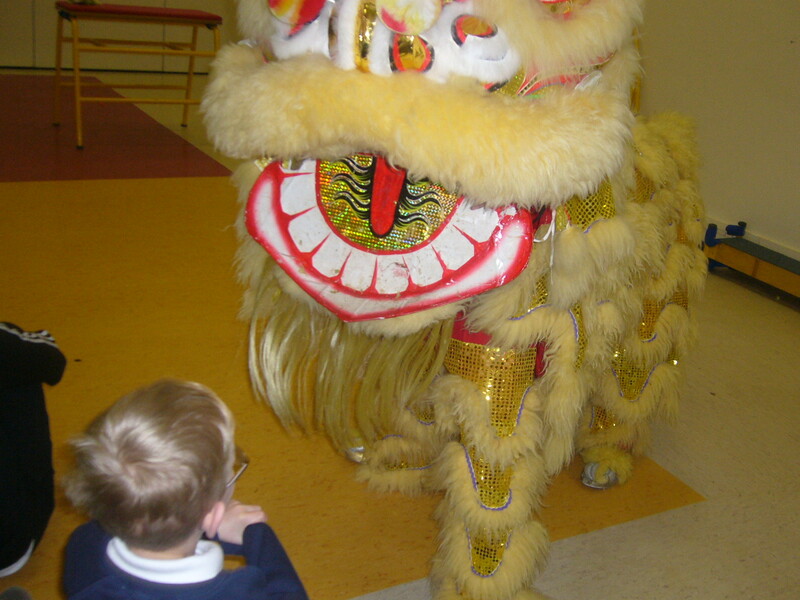 January is always an exciting time as the children learn about the Chinese New Year, taking part in visits to China Town and to the Chinese Supermarket. Lots of interesting new tastes are explored whilst trying out Chinese recipes and snacks from the supermarket. The Chinese season culminates in a visit from the Northern Dragons, who spend the day in school teaching the children about Chinese music, drumming and dancing. The whole school join together in an assembly at the end of the day when the Dragon dancers perform. The pupils enjoyed the spectacle of the bright costumes, the engaging rhythms and the general excitement of the event. The Spring Term is a time for thinking about using our skills to help others, by making craft items and selling them in a Merseyside Enterprise event, held in Liverpool. Invitations were sent to lots of important guests from Wirral, the pupils then worked very hard to design key-rings and other items for the big day on 7th March. Each special school in Merseyside is encouraged to take part in this event and a booklet about all the schools is published each year. This year Elleray Park won the event and proudly returned with a trophy to mark the occasion. So far, we have sent over £1200 to the charity that supports the Haiti disaster, helping to enable a new school to be built and resourced. The school grounds have been filled with daffodils and blossom trees and the pupils have been able to enjoy the hill area at the back of the school premises. This area is still under development, with some of the grass cordoned off at the moment in order to endeavour to improve the quality. Nevertheless, full use is made of the available area where the pupils enjoy their play equipment, trees and open spaces. Gardening club has started just before the Easter break, with a small group of pupils visiting a local allotment, where they have been lucky enough to take ownership of a small plot of land to grow produce this year. The group will continue to learn about growing vegetables and plants throughout the summer term and hopefully will benefit from a good harvest in the Autumn. We all look forward to hearing news from this little Eco group as the year progresses. The school has now broken up for Easter, having enjoyed all the Easter assemblies during the last week of term. So, armed with Easter eggs, the pupils set off for their Easter holidays. We wish them all well and look forward to welcoming everyone back on 28th April. Why Egremont can not have its sand beaches back, especially when it costs nothing? One hundred years ago the sea wall at Vale Park (above) was only four feet high and fronted by the most beautiful dry sand beach. The construction of the King’s Parade in the 1930’s cut off the southerly supply of sand and beach levels consequently dropped by up to twelve feet. 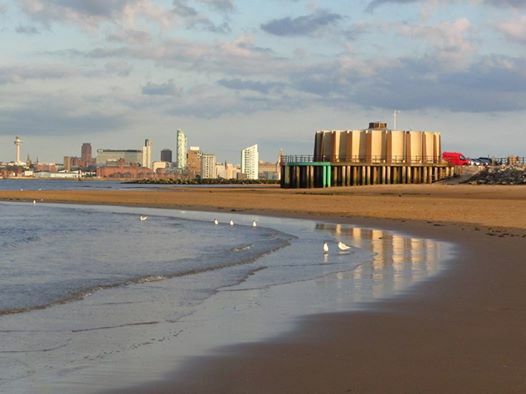 In the August 2012 edition of the Walrus I first suggested using free dredged sand to bring back the beach and reconnect the local community to the shore, so replicating the successful 1987 sand replenishment scheme at New Brighton. These schemes are becoming more commonplace – last year Colwyn Bay imported half a million tonnes of sand as a sea defence and such was its success in coping with last December’s storms that the scheme is to be extended. The social and economic effects have also been tremendous and a major factor in ‘talking up’ the town. At Egremont the newly exposed rock and rubble shore was colonised by barnacles and mussels and designated a Site of Special Scientific Interest for wading turnstones. Any artificial placing of sand and rock here would have to be a partnership with Natural England to benefit wildlife first and people second. On January 24th 2014 I attended a Site Meeting with three representatives of Natural England. The main purpose was to provide sufficient evidence that three ideas to improve wading bird habitats could be handed over to the experts for further research, two ideas involved more rocks, and one involved more sand. Firstly, I showed photographic evidence that a trial sandstone rock field placed on the lower shore at Manor Lane had been colonised by barnacles and mussels in just nine weeks and was stable following the December 5th storms. Secondly I also suggested using isolated boulders to raise the crest of the Manor Lane groyne, thus enabling wading birds to roost undisturbed over the highest spring tides. This was viewed positively by Natural England and they will consider the ideas further. A higher sand beach is the vital third ingredient of an integrated scheme connecting the two new rock habitats together. Photographic evidence and several bird counts showed that up to a quarter of local turnstones were feeding on the existing sand beach at Manor Lane on an incoming tide. A one metre higher ‘pocket’ sand beach here or at Egremont Ferry would allow feeding for longer periods. Natural England raised concerns about bringing any sand back to Egremont Ferry as it could deflect a scour channel currently keeping mussel beds at the base of the sea wall free of sand. They also raised concerns that sand used to create a higher sand beach at Manor Lane could drift. In my opinion drifting sand would be minimal and any area of mussel beds threatened would be more than compensated by up to ten times the equivalent area of new rock fields laid lower down the shore. Natural England finally suggested further studies of coastal processes and a two year programme of further bird monitoring was needed but did not undertake to do this. I believe I provided sufficient evidence on sand stability and wildlife value of existing sand beaches to warrant Natural England taking all three ideas (and not just the rock habitat proposals) to the next level. No individual has the resources or expertise to carry out the further sand studies required. Consequently I accept that my proposals to create higher sand beaches at Manor Lane and Egremont Ferry will not go ahead due to the concerns of Natural England – an essential willing partner to any potential scheme. I explored every possibility to try and get more sand back to Egremont and restore some of the natural sand beaches that have existed here from end of the last Ice Age until just 50 years ago. I will only revisit the sand and rock proposals if the shore sands over naturally, but this may take a decade or longer. I will however provide evidence to Wirral Council that dredged sand could be used as a buffer to reduce water depth and therefore storm wave overtopping at Kings Parade. Wirral Council engineers may encounter similar environmental obstacles but it is important that all options for protecting our coasts are looked at. I would like to thank the people of Egremont and New Brighton for your fantastic support and encouragement over the last eighteen months and hope the shore at Egremont improves naturally over time for the ultimate benefit of both people and wildlife. Wallasey residents are being given another chance to get their finances in order with a popular free course being run by a local church. Members of New Brighton Baptist Church, who have been trained by UK charity Christians Against Poverty,are againrunning the three sessions aimed at helping the local community to best handle the current economic downturn. New Brighton Baptist is one of more than 1,200 churches of different Christian traditions across the UK who are regularly offering the course, as they work together to positively impact the communities around them. The next course takes place at Vale House, Vale Park, New Brighton, starting at 10:15 on Friday 2nd May. 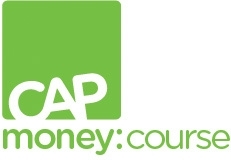 The CAP Money course is the pro-active educational arm of the charity. It is sometimes run by the centres that do debt counselling but mostly the courses are run by churches where congregations want to do something to empower people to fight poverty before it hits. 26TH APRIL JAMES AND CO.
17TH MAY JAMES AND CO.